When Tantalus Vineyards sent me their releases for 2017 this spring or early this summer, I decided to wait a few months before reviewing them. Bad idea if you were waiting on my reviews, which is not too likely. Tantalus sells easily on its reputation. But here was my rationale for taking my time. The flagship wines at Tantalus are made with Riesling grapes. Riesling takes its own sweet time to develop in bottle, so I decided to give the Rieslings a few more months to really blossom. Then life happened. It took me longer than anticipated to get to the wines. I expect most of those wines are now sold out. Even so, I am still going to report on my reviews. The information may be useful of you happened to find some on a wine store shelf of in a restaurant. A little more time has helped soften the often bright acidity of these Rieslings. Under the direction of winemaker and general manager David Patterson, Tantalus has firmly established itself as one of the Okanagan’s best and most focussed wineries. David, who received his winemaker training at Lincoln University in New Zealand, credits tasting a 2008 Tantalus Riesling for firing his interest in the Okanagan. He was then working for a wine retailer in Vancouver after having worked vintages at wineries in Oregon, New Zealand and Australia. The Tantalus property, now about 75 acres in size, is one of East Kelowna’s historic vineyards, planted in the late 1920s by a pioneer grower, J.W. Hughes. He later sold the property to the Dulik family. They get the credit for planting Riesling there in 1978. When Eric Savics, the current owner, bought the property in 2004, he reduced the varieties being grown, developing a tight focus that included more Riesling, along with Pinot Noir and Chardonnay. Tantalus Riesling 2016 ($19.91). When I tasted this in July, I made a note that it should be cellared for another year. The wine is simply yummy, with floral aromas and with flavours of lemon and lime on the juicy palate. The bright racy acidity gives the wine great freshness, with 17 grams of residual sugar to balance the wine’s attack. 92. Tantalus Old Vines Riesling 2014 ($30.35). This wine is made from the 1978 planting of Clone 21B Riesling. Those vines deliver intensely concentrated aromas and flavours. It begins with aromas of lemon and lime, with a complexing hint of petrol. The aromas are echoed on the palate, along with the distinctive mineral notes of this vineyard. The racy acidity gives the wine a dry finish; there is just enough residual sweetness to prevent the wine tasting austere. The finish goes on and on. This complex wine should peak in about 10 years. 94. Tantalus Old Vines Riesling Brut 2014 ($34.70). Only 200 cases of this exceptional sparkling wine were made. It was disgorged after two years en tirage. The fine bubbles deliver aromas of citrus and brioche, followed by flavours of citrus and apple. The wine has a long, elegant finish with a touch of almond. 94. Tantalus Blanc de Noir 2014 ($27.74). This traditional method sparkling wine is made with grapes from a 1985 block of Pinot Noir. The wine spent two years on tirage before being disgorged. Rose petal pink in colour, the wine’s fine bubbles create a lively display in the glass. The aromas and flavour recall strawberries and pink grapefruit. The bubbles create a creamy impression on the palate but the fresh acidity gives a crisp finish. 91. Tantalus Juveniles Chardonnay 2016 ($17.30). This wine was made from the fourth harvest of a young Chardonnay block. Fermented with wild yeast, the wine is fresh and fruit forward, with aromas and flavours of lemon and green apples. 88. Tantalus Chardonnay 2015 ($26.00). This style of this wine pays tribute to White Burgundy. The wine was fermented with natural yeast in French oak puncheons and barriques, 30% of which were new. The wine has aromas of citrus with a touch of vanilla. Full on the palate, it has flavours of lemon, apple and nectarine. The wine is elegant, with a refreshing focus of fruit on the finish. 92. Tantalus Rosé 2016 ($19.09). This is 60% Pinot Noir, 40% Pinot Meunier. Light pink in hue, the wine has aromas and flavours of strawberry, raspberry and pink grapefruit. The finish is crisp and dry; I might have preferred just a touch of residual sugar to fully bring out the charm of the wine. 90. Roche Wines, which opened its winery this summer on Upper Bench Road in Penticton, should encourage all ambitious young Okanagan vintners trying to figure out how to open their own wineries with limited resources. Since I have not seen the books at Roche Wines, I have no idea whether some family money is backing up owners Dylan and Pénélope Roche. But I do know that this young couple, who moved to the Okanagan from France in 2011, have developed their business one methodical step after another. Other aspiring young vintners might look on Roche Wines as a case study. Dylan was born in Vancouver in 1976, the son of a lawyer and a nurse, and got a degree in urban geography from the University of British Columbia. After college, he went to Burgundy in 2000 as a bike mechanic and cycling guide with Butterfield & Robinson. Exploring wineries in his free time inspired a passion for wine. By 2003, he was enrolled in enology studies in Beaune. That led to winemaking apprenticeships over the next five years in Côte d’Or, Chablis and New Zealand. He then became a wine educator and program director at Château Lynch-Bages in Pauillac from March, 2006 to February 2008. Dylan then became assistant winemaker at two estates in Péssac-Léognan and the winemaker at Château Bellevue de Tayac in Margaux in 2010, just before he and Pénélope decided on a winemaking career the Okanagan. Pénélope was born in France, with five generations of winemaking and viticulture behind her in the family estate, Château Les Carmes in Haut-Brion (which was sold just before the couple came to Canada). She also has formal winemaking training and experience in Spain, New Zealand and Australia. While Pénélope worked as a consulting viticulturist in the Okanagan, Dylan became the winemaker at Intersection Wines, remaining there until early 2016. They established the Roche label as a virtual winery with a small production of Chardonnay in 2012. Virtual wineries produce wine in existing licenced wineries. It is a way of getting into the business without investing in production facilities until wine sales justify it. Roche Wines was an early member of the Garagiste wineries, a group of largely Okanagan wineries (many virtual) producing less than 2,000 cases a year. This year’s vintage is pushing Roche beyond that threshold. It has taken the couple about five years to grow from 85 cases of Chardonnay in 2012 to their own winery and vineyard. Their search for a vineyard was confined largely to the Naramata Bench and to Okanagan Falls until they bought an eight-acre property with four acres of vines on Upper Bench Road in 2014. The property was one-third of a block owned a veteran viticulturist named John Barnay, who had planted grapes about 2o years ago and still farms the adjacent block. “We talked about tearing out Schönburger and planting something else, probably Pinot Noir,” Dylan says. “But it is like adopting a puppy … you get fond of it. Pénélope is now protecting it.” However, they have planted an additional 1.75 acres of vines, two-thirds Chardonnay and one-third Pinot Noir. Dylan turns the Zweigelt, an Austrian red not well-known in this market, into an a very successful dry rosé. One of his secrets: a dash of Schönburger is blended into the wine to lift the aromatics. Beginning in 2013, Dylan and Pénélope began to extend their portfolio by purchasing Pinot Noir and Pinot Gris from the 15-acre Kozier Organic Vineyard on Todd Road, not far away on the Naramata Bench. They had become friends of owner Len Kozier and his family in 2012 while buying grapes for Intersection. They continued to buy fruit after Len died suddenly early in 2013. Last year, the Kozier family turned over farming that vineyard to Dylan and Pénélope. “The vineyard has Merlot, Pinot Noir, Pinot Gris, Gewürztraminer and Viognier,” Dylan says. The control of that grape supply and the opening of the Roche winery this fall is triggering a major extension of the Roche portfolio. The winery, a metal-clad building fronting on Upper Bench Road, is designed for a capacity of 6,000 to 10,000 cases. It is a practical, well-designed building, double-insulated to conserve energy consumption. The compact tasting room is tucked into a corner with windows that look over the vineyard. It is not a LEED building but the design principles reflect Dylan’s LEED thinking. Here are notes on Roche wines. Roche Pinot Gris 2014 ($25.90). This may be sold out … but it is a complex wine with intense fruit flavours and herbal/honeyed notes in the aroma. This makes the case for aging Pinot Gris. 92. Roche Pinot Gris 2015 ($25.90). The winery released 236 cases this summer. The wine was fermented in neutral oak. It has good weight, with aromas and flavours of pears and a hint of vanilla on the finish. 92. Roche Pinot Gris ‘Inox’ 2016 ($20.90). This tank-fermented and aged wine is crisp, with aromas and flavours of citrus, pears and apples. A nice spine of minerality adds to the weight and structure. 90. Roche Arôme 2016 ($17.90 for 130 cases). This is the winery’s dry Schönburger, a crisply spicy and aromatic white that certainly makes the case for keeping the variety in the portfolio. The wine is exotic, with tropical fruit and herbal flavours. 91. Roche Pinot Noir 2014 ($34.90). The wine begins with aromas of cherry mingled with classic “forest floor” notes. Time in barrel have given this a toasty note. Flavours of strawberry and cherry dominate the palate. The texture is silky. 91. Recently, I shared some wines from the Calliope brand with a neighbour, telling him that the brand is owned by Burrowing Owl Vineyards. He was impressed with both the quality and the prices, adding that he was not surprised, given the Burrowing Owl ownership. He had not known that. And you would not know it by reading the labels on the bottle, where the ownership is identified as the Wyse family. 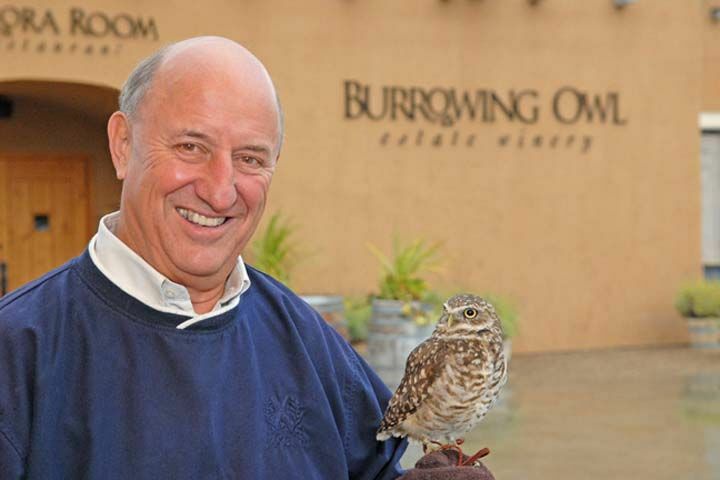 Burrowing Owl founder Jim Wyse bought the Calliope brand several years after the brand closed in 2005. (Calliope is the name of a small hummingbird that lives in southern B.C.). While the Wyse family always acknowledge their connection with Calliope, they have carefully differentiated the Calliope and Burrowing Owl labels. The Burrowing Owl wines all are made from estate grapes, grown so well that the wines can command between $25 and $50 a bottle. And the wines are worth it. Calliope wines, on the other hand, are made with purchased grapes or with fruit from young plantings. The wines, now sold across Canada, are priced at $20 and under in British Columbia. In terms of value for money, these wines over-deliver. The Calliope brand was launched in 1999 by a partnership that included winemakers Ross and Cherie Mirko. They met in New Zealand when Ross, a Canadian, was completing winemaking studies there. They worked at various Okanagan wineries while trying to get the Calliope brand off the ground. Hampered by a lack of resources, they closed Calliope and moved to New Zealand, where both resumed their winemaking careers. They struggled to sell the Calliope brand until Jim Wyse decided to buy it. A label named after a hummingbird was a big plus for Jim, a naturalist and a bird lover. That interview was done just as the brand was relaunched. It has become a national success. Calliope Viognier 2016 ($16.90). The wine begins with appealing aromas of peach, apricot with floral notes. The palate is rich, with flavours of stone fruits and vanilla (35% of the wine was fermented in barrel). The generous and bright flavours linger on the finish. 90. Calliope Sauvignon Blanc 2016 ($18.90). The wine begins with zesty aromas of grapefruit and lime, which are echoed on the palate, along with notes of herbs and spice. Good acidity gives the wine a crisp and refreshing finish. The finish is lingering. 91. Calliope Riesling 2016 ($16.90). Typical of many Rieslings, this wine still needs more time in bottle to develop its complex aromas and flavours. It begins with aromas of apples and pears with a touch of lemon. Bright acidity gives this dry wine a tangy note on the palate, with flavours of grapefruit zest. A spine of minerality defines the structure. This wine will reward anyone patient enough to cellar it until next year. 90. Calliope Gewürztraminer 2016 ($16.90). This wine begins with aromas of rose petal spice, pear and lemon zest. On the palate, there are flavours of peach and ripe pear with a suggestion of ginger and spice. The slight amount of residual sugar is nicely balanced with acidity, but it adds flesh to the texture. 90. Calliope Figure 8 White 2015 ($18.90). This is a complex five-grape blend: 38% Viognier, 25% Chardonnay, 24% Pinot Gris, with Gewürztraminer and Sauvignon Blanc accounting for the remaining 13%. Each variety was processed and aged separately, with the Chardonnay fermented in barrel. The wine begins with aromas of apricot and vanilla. The wine is rich on the palate, with flavours of tropical fruits. Notes of marmalade and butter linger on the long and persistent finish. 91. Calliope Figure 8 Cabernet Merlot ($18.99). This is a highly drinkable blend of Merlot, Cabernet Franc and Cabernet Sauvignon. Intense aromas of plums, black cherries and raspberries jump from the glass. That potpourri of fruit is reflected on the palate, along with red currants, cloves and pepper. The long ripe tannins were polished by aging the wine in barrel (mostly three-year-old barrels) for 12 months. The fruit is bright and the texture is juicy. 90. Mohan Gill, the owner of Bordertown Vineyards & Estate Winery, seems to have the drive to expand his business in his bones. The cidery was opened this summer! The Bordertown winery and cidery is immediately north of Osoyoos. You cannot miss the grand highway-side buildings, including a tasting room with an entrance framed by stone-sheathed pillars. The winery was so fast out of the gate with quality wines that it won a Lieutenant Governor’s Award of Excellence last year for its flagship red, a meritage blend called Living Desert Red. The more recent releases show that the wine was not just beginner’s luck. These are well-grown wines. He bought his first orchard (with an older brother) in 1996. He began delivering his own fruit to Vancouver buyers in 1999 with his pickup truck. He turned over fruit delivery to another agency in 2007 but he still packs cherries, peaches and apples under his own brand. His customers include several major retailers. Mohan dipped his toe into viticulture by planting two acres of grapes in 2005. A quick study, he was comfortable enough with grape growing that he expanded to 20 acres in 2007. He has continued to increase his vineyard holdings. He now grows 38 acres of grapes at two Osoyoos vineyards and another 50 acres in a Peachland vineyard. One of the winemakers buying his fruit encouraged Mohan to expand into wine production. He did not need much encouragement. He recruited consulting winemaker Jason Parkes and Bordertown began making its first vintages in 2013. The winery, now producing more than 10,000 cases a year, has just begun its fifth vintage with consulting winemaker Daniel Bontorin, (right) who took over the cellar several years ago, making the wines. “On this property, I am growing five different varieties: Chardonnay, Riesling, Muscat, Gewürztraminer and Viognier and Pinot Gris,” Mohan says, referring to the vineyard near the winery. He also has Merlot, Cabernet Franc, Cabernet Sauvignon, Pinot Gris and a block of Grüner Veltliner. The Peachland vineyard, a cooler terroir, is planted primarily in white varieties: Chardonnay, Pinot Gris, Pinot Blanc and Riesling. He also grows Pinot Noir there. The result is an extensive portfolio of wines. Here are notes on current releases. 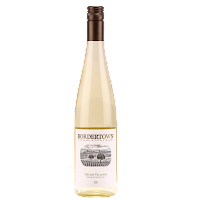 Bordertown Pinot Gris 2016 ($N/A for 1,000 cases). The wine begins with aromas of nectarine and peach. The palate delivers stone fruit flavours, along with ripe pear and blood orange. The texture is generous and the finish is crisp. The flavours, with a refreshing hint of citrus, linger on the palate. 90. 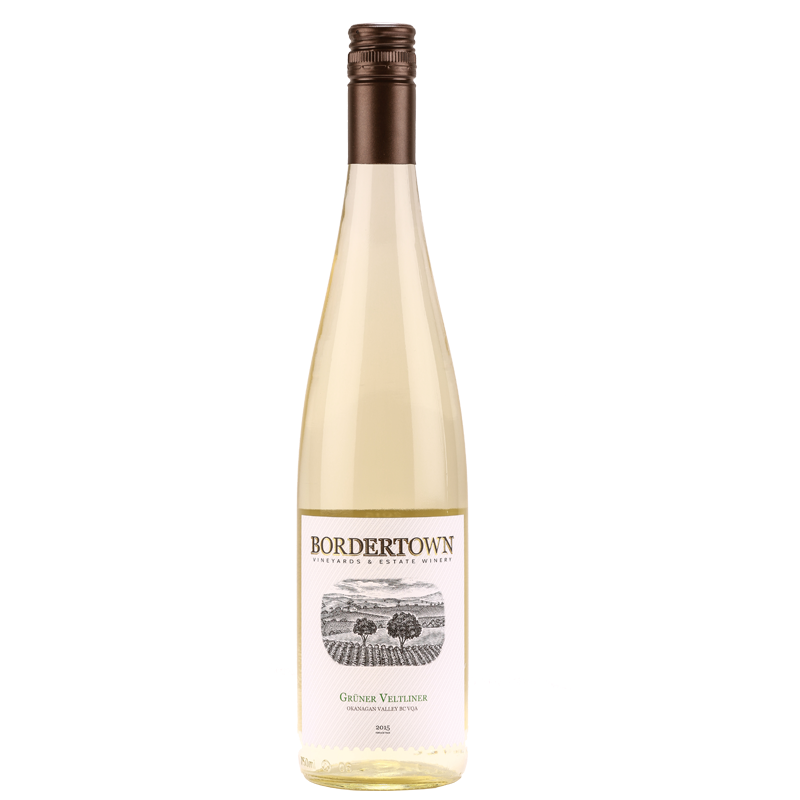 Bordertown Living Desert White 2016 ($18 for 1,135 cases). This is a blend of 63% Pinot Gris, 27% Riesling and 10% Muscat. It begins with aromas of apple, pear and peach. On the palate, the flavours echo the aromas, with hints of tropical fruit. The refreshing finish is balanced well, with the acidity offsetting the residual sweetness that gives richness to the texture. 90. 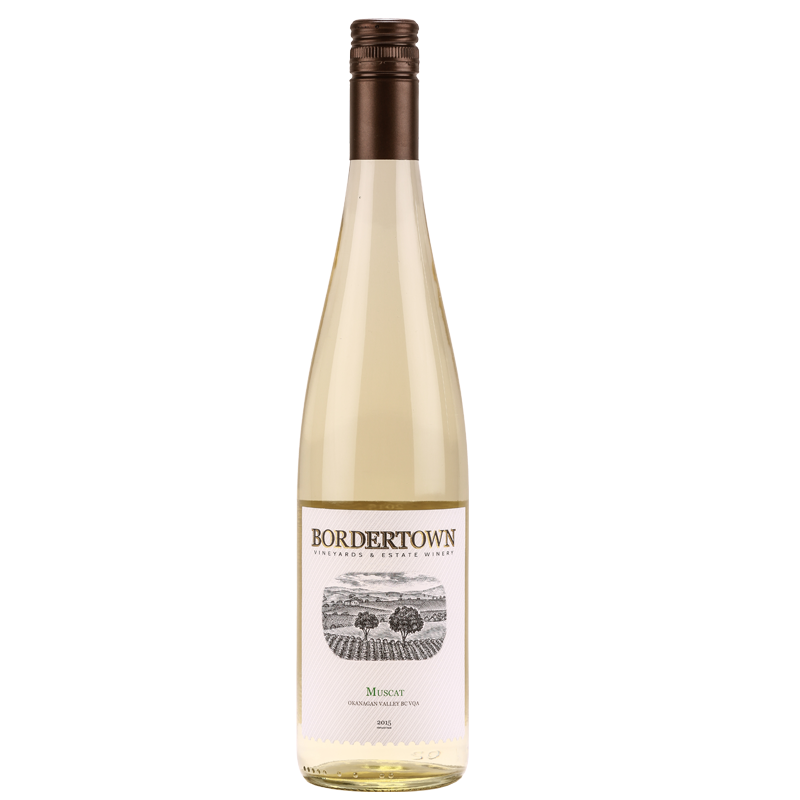 Bordertown Muscat 2016 ($22 for 378 cases). This wine begins with delicate aromas of rose petals and spice. After that delicacy, the intensity of the flavours takes one by surprise. There are notes of nectarine and cider apples. The dry finish is punctuated with a light ginger spice. 91. 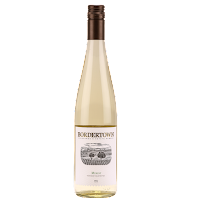 Bordertown Grüner Veltliner 2016 ($25 for 379 cases). The wine begins with aromas that blend citrus and herbal notes. On the palate, there are flavours of melon, pineapple and white peach. There is a hint of herbs and white pepper on the crisp, refreshing finish of this dry white. 91. Bordertown Cabernet Franc Rosé 2016 ($23 for 378 cases). This dry rosé presents in the glass with pink hue that verges on orange. In fact, the wine will appeal to the growing number of orange wine fans even if this is fermented on the skins. It has aromas of watermelon and strawberry, leading to flavours of ripe apple and watermelon. 90. Bordertown Merlot 2014 ($N/A for 434 cases). This wine begins with aromas of black cherry, blueberry and plum, leading to vibrant bright berry flavours – blackberry and black currant. The wine is rich on the finish, with notes of black coffee and dark chocolate mingling with juicy berries. 90. Bordertown Cabernet Franc 2015 ($24 for 1,800 cases). This bold, ripe red makes a great statement for Cabernet Franc from the South Okanagan. It begins with intense brambly, black cherry aromas. On the palate, there are flavours of blackberry, fig, mint and tobacco with a note of oak. Ripe but firm tannins assure that this wine will continue to improve in the cellar for five to eight years. 94. Bordertown Cabernet Sauvignon 2014 ($N/A for 211 cases). Dark in colour, the wine begins with aromas of cassis, black cherry and vanilla. On the palate, the wine delivers flavours of black currants, plums, figs, sweet tobacco and chocolate, all framed with well-handled oak. This harmonious medium-bodied wine lingers on the finish. 91. Bordertown Syrah 2015 $30 for 122 cases). This wine presents in the glass with a deep midnight purple hue that is quite dramatic. The aromas of plums and figs are equally dramatic. On the palate, this is a rich and generous wine with sweet berry flavours mingled with licorice, cedar and pepper. The finish is exceptionally long. 93. Bordertown Living Desert Red 2014 ($25 for 980 cases). This is a blend of 45% Cabernet Franc, 35% Merlot and 20% Cabernet Franc, aged 12 to 18 months in French oak. The wine begins with aromas of cassis, dark cherry, vanilla and mocha. On the palate, it delivers intense red berry flavours mingled with dark chocolate. On the lingering finish, there is a delightful mix of savoury sweet fruit and herbs. 92. Every glass of wine from Quails’ Gate Estate Winery seems to call for a toast to Richard Stewart, the man who bought this outstanding West Kelowna vineyard site in the 1950s. He is the father of Quails’ Gate president Tony Stewart and his older brother, Ben, who is better know for his interest in politics but is also involved with the winery. The Quails’ Gate vineyard is on a long, southeast-facing slope of Mt. Boucherie. The slope catches the heat of the sun all season while the volcanic soils add complexity to the wines. The flagship variety is Pinot Noir (the Stewarts were the first in Canada to plant a significant quantity of Pinot Noir). That is a cool-climate varietal that does well in the North Okanagan. What always amazes me is this vineyard also succeeds with Bordeaux reds and Syrah, varieties that do well in the South Okanagan but, at least in theory, should struggle in the north. Generally, they do – except in this special sunbathed terroir. Let me share a bit of history from my 1996 book, British Columbia Wine Companion, which is out of print. Maréchal Foch was also one of the first varieties planted at the Quails’ Gate vineyard. Perhaps the success of the Chasselas and then of Pinot Noir led the Stewart family to commit almost their entire site to vinifera grapes. Except for Maréchal Foch. In 1994, Jeff Martin, then the winemaker at Quails’ Gate, made a big, rich red with those grapes. Without doubt, it was the best Foch made in the Okanagan to that time. The wine developed and has retained a cult following. Quails’ Gate makes an Old Vines Foch Reserve from the West Kelowna fruit and an Old Vines Foch from another old block of Foch the winery owns near Osoyoos. The survival of Foch as a winemaking grape in British Columbia is due largely to Quails’ Gate. The latest releases from Quails’ Gate, which include two Foch wines, are all reds from the superb 2015 vintage. The current winemaker at Quails’ Gate is Nikki Callaway, Canadian-born and French-trained. She did not put a foot wrong in making any of these wines. Quails’ Gate Cabernet Sauvignon 2015 ($34.99 for 1,900 cases). The wine presents with a deep purple hue in the glass. Aromas of cassis, mulberry, vanilla and tobacco jump from the glass. Rich and ripe on the palate, it has flavours of black currant, black cherry, leather and cocoa. 92. Quails’ Gate Merlot 2015 ($25.99 for 4,949 cases). Dark in the glass, the wine begins with aromas of cassis and blueberry. The ripe tannins give the wine a generous texture, supporting flavours of black cherry, black currant and dark chocolate. 91. Quails’ Gate Old Vines Foch 2015 ($24.99 for 3,500 cases). The wine begins with aromas of cherries, plum, deli meats and oak (it was aged 18 months in oak). The aromas are echoed in the flavours. On the palate, the wine is noticeably dry, with firm tannins. 90. Quails’ Gate Old Vines Foch Reserve 2015 ($46.99 for 1,500 six-bottle cases). This dark wine simply envelops you with rich aromas of black cherry, dark plum, dark olives and toasty oak, all of which is realized in the flavours. The wine has a plump texture, with a finish where sweet fruit mingles with coffee on the long, rich finish. 93. 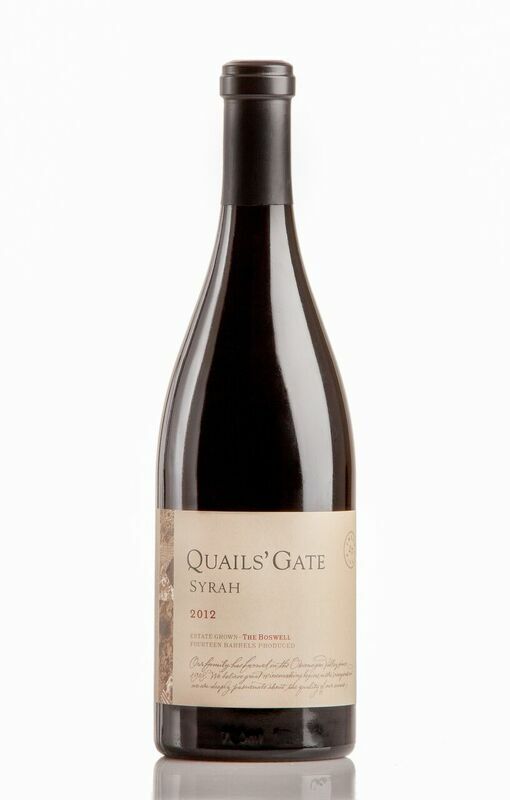 Quails’ Gate The Boswell Syrah 2015 ($54.99 for 585 six-bottle cases). This wine, so named in honour of ancestors of the Stewart family, is sold exclusively at the winery. The wine, aged 18 months in French oak, is almost black in hue – the promise of a rich and ripe red. It begins with aromas of plum, blueberry and vanilla with a suggestion of white pepper. The wine is dense on the palate, delivering flavours of dark fruits mingled with leather and chocolate, supported by good minerality. There is a long, savoury finish. 93. Quails’ Gate The Connemara 2015 ($59.99 for 240 cases). The wine is so named because Richard Stewart’s father, also Richard, insisted that Connemara was the most beautiful part of his native Ireland. This blend of 30% Merlot, 30% Cabernet Sauvignon and 40% Cabernet Franc is also available just at the winery. By all means, make the trip. A restrained wine on opening, it develops with time in a decanter to show aromas of violets and cassis mingled with a whiff of oak. (The wine was aged 18 months in French oak.) On the palate, there are flavours of dark red fruit mingled with black coffee and tobacco. There is exceptional polish and elegance to this wine. It should be cellared for perhaps another 10 years. 94.